In Dallas a rancher takes the kids for a ride in a 92-foot-high double Ferris wheel. Click both of these wonderful photos to see larger images. You can practically smell the Brylcreem and cotton candy. 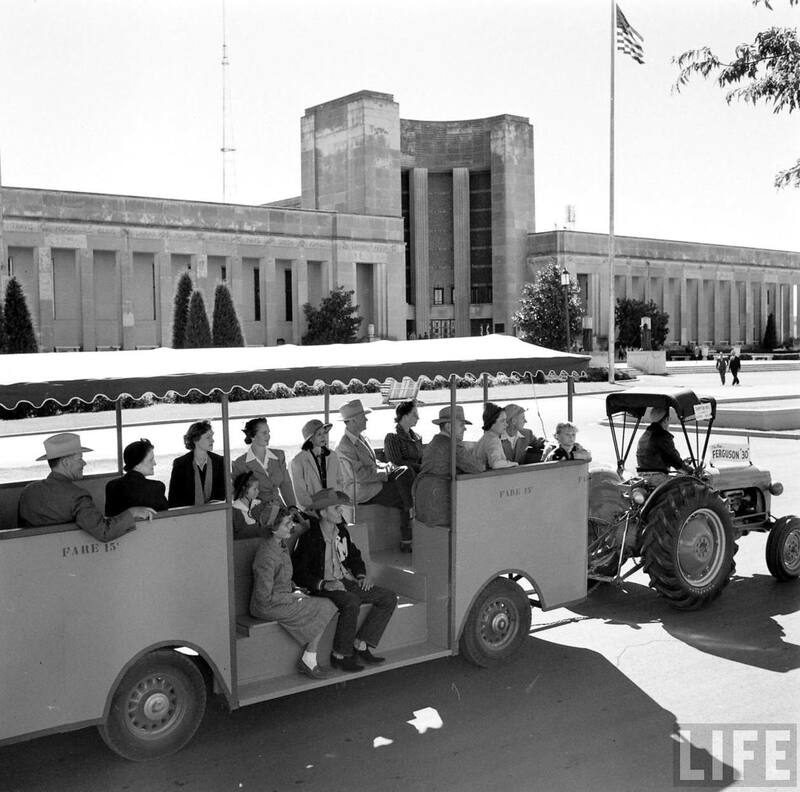 Both photos taken at the 1951 State Fair of Texas for Life magazine by an uncredited photographer. 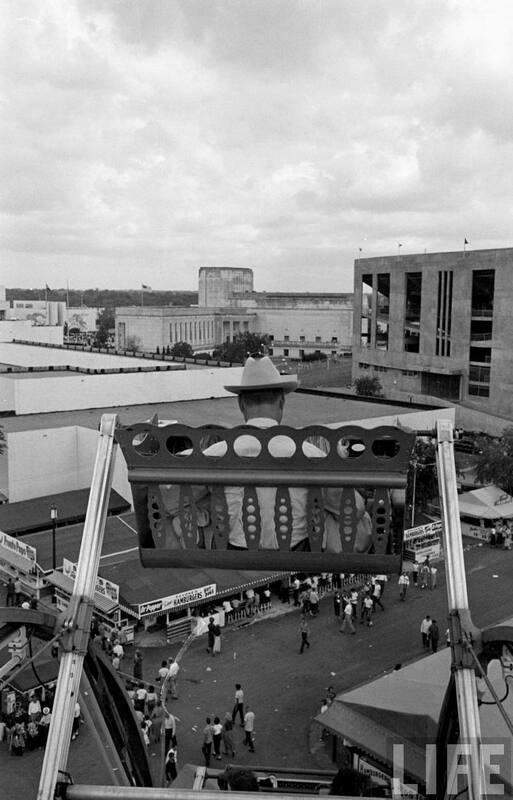 The top photo (cropped differently) ran in the Oct. 22, 1951 issue of Life as part of a feature titled “It’s a Bumper Year For Fairs” — it was the only photo that appeared in the magazine shot at the Texas fair. The bottom photo did not run in the magazine.